The Opal Creek Wilderness is a low-elevation ancient forest that is home to the largest intact stand of old-growth forest in the western Cascades. Trees in this area can range up to 1,000 years old and reach up to 250 feet tall. Because the forest has remained intact for so long, the flora and fauna interact in the way nature intended. Cycles that can take hundreds of years to complete have been left alone to do so, and in the process, have left Opal Creek in a state of pristine beauty. 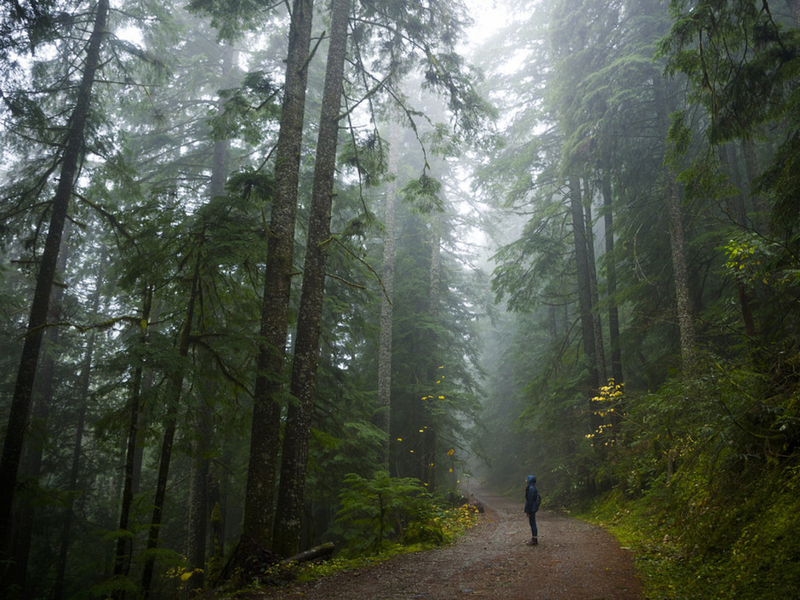 Within this lush ancient forest, there are eight different trails totaling about 35 miles. It's difficult to find loop trails within this wilderness area because most of the routes are traditional out and back options, but this isn't much of an issue because these out and backs typically lead to really impressive landmarks. 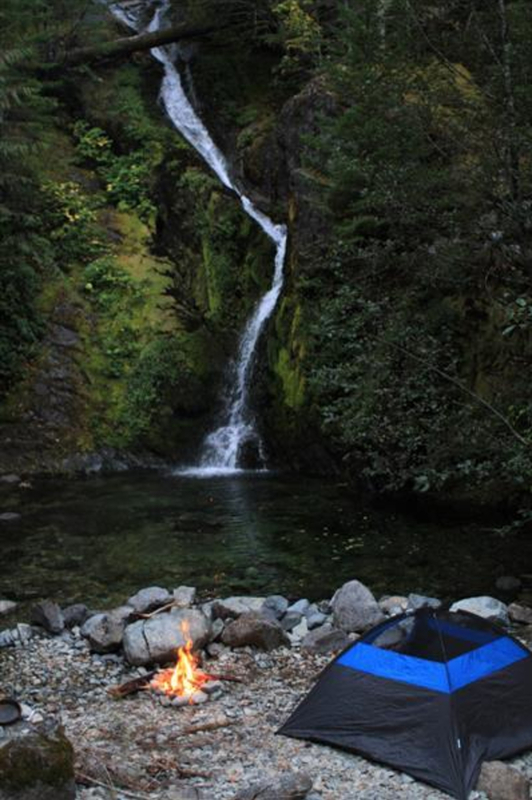 Take the 3.5-mile trail to Opal Pool, for example. Yes, you'll have to return the way you came, but Opal Pool is an exquisite swimming hole that easily makes it all worth it. As you walk through this ancient forest, you feel quite minuscule in the best way among 700-year-old trees. There are plenty of places to explore such as the old abandoned mines in Jawbone Flats. The trail to Opal Pool follows a road to the old mining town of Jawbone Flats. You cross the Gold creek on a high bridge. At about 2 miles you are at the old Merten Mill, which was a steam-powered sawmill that was built in 1943. After the path proved to be too dangerous for this work, the milling stopped, but there is still a steam engine that was re-purposed from the USS Battleship Oregon lying in the clearing. After another .2 miles, there is a fork in the road. The left leads you to the old, historic mining town of Jawbone Flats that was built between 1929 and 1932. Just beyond the camp, you will find your destination- Opal Pool. Just cross the Battle Axe Bridge and turn right past a building with a water-powered generator. Continue down that road until you reach the sign for Opal Pool. To head straight to Opal Pool and bypass Jawbone Flats, take a right at the fork in the trail. Then, turn left to follow the Kopetski Loop. You will wind through this trail for about a mile until you see Opal Pool. The water at Opal pool is a crystal clear swimming hole that almost looks emerald from afar and is truly one of the most beautiful places to swim in Oregon. 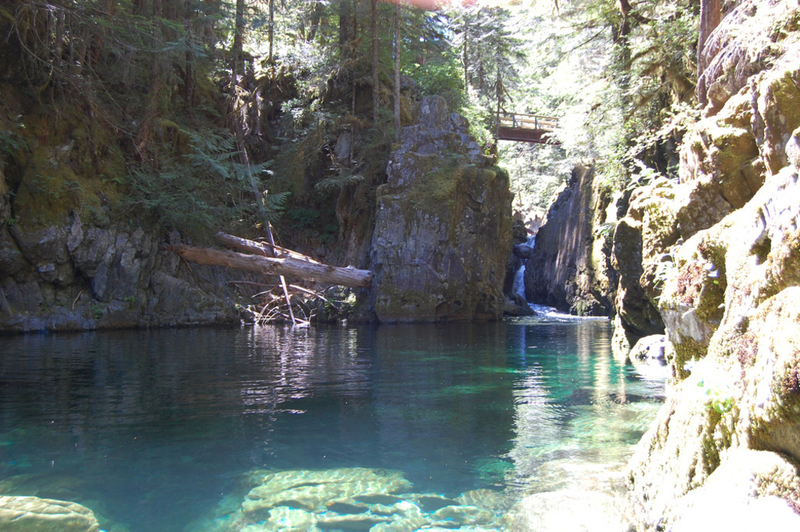 You see where the pool originates as Opal Creek flows down through a chasm it has formed in bedrock before is plunges 30 feet into the beautiful pool. For a delicious local food and drink option, consider Trexler Farm Cafe. It is just off of HWY 22 in Stayton, an excellent out of the way spot for breakfast or lunch. 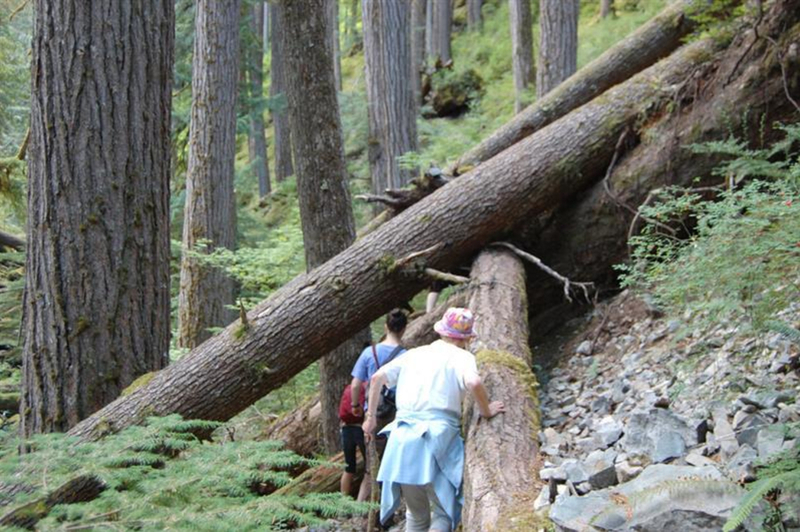 Because this trail only gains about 200 feet in elevation, it is accessible to anyone. 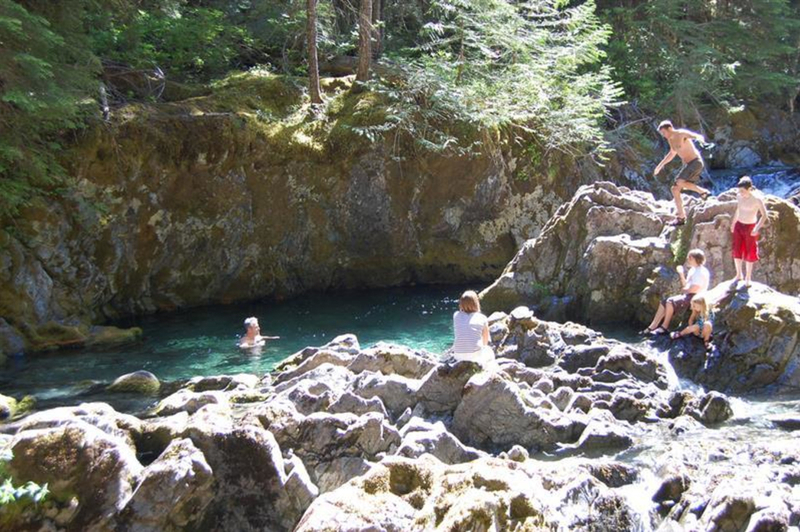 The main goal of this hike is to enjoy the beautiful Opal Pool, which is something that anyone can enjoy, no matter his or her hiking experience. To get to Opal Creek from Portland, take Interstate 5 towards Salem. Take exit 253 for Highway 22 east toward Detroit for about 22 miles. When you reach the town of Mehama, there will be a yellow flashing light at North Fork Road and you should turn left. The trailhead is at the end of the road, about 20 miles. When the road turns to gravel after about 14 miles, you are on Forest Road 2209. After about 2 miles, you will see a turn off for Shady Pools, but should avoid that and keep left. 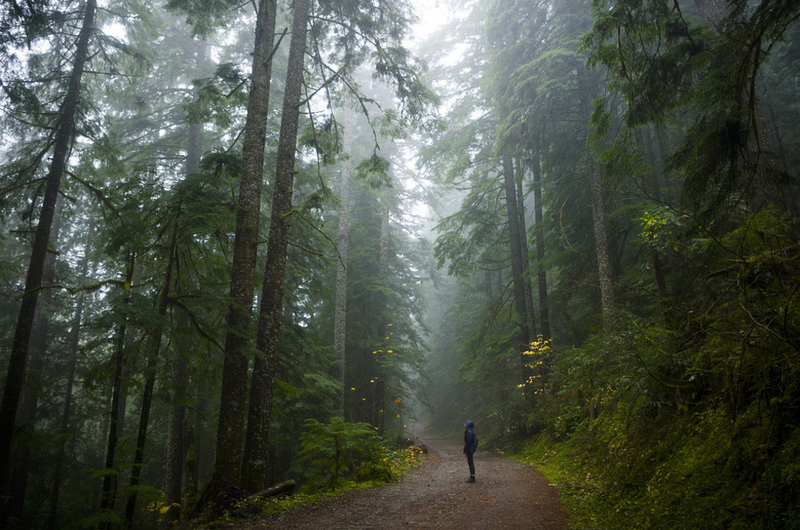 Follow the road 4 more miles where you will find the Opal Creek/Jawbone parking area and trailhead. Parking permits are $5 for a day.